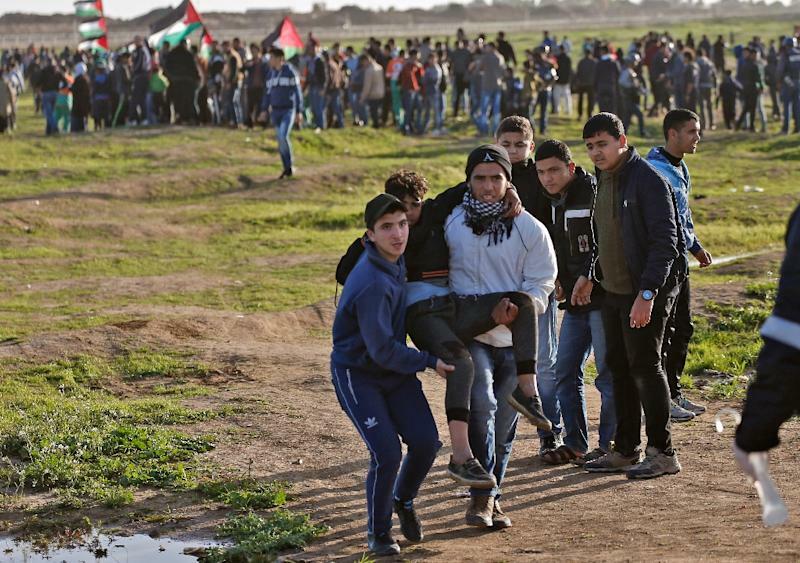 In a statement, the ministry said that Hassan Shalabi, 14, and Hamza Ashtiwi, 18, had been "martyred by Israeli forces". During the same period, two Israelis were killed in the context of Gaza hostilities while another 52 suffered injuries, the report said. Earlier this week, Israel began reinforcing its Gaza security fence with a galvanized steel barrier 65 kilometers long (40 miles) and six meters high (20 feet). At least 295 Palestinians were and about 6,000 wounded during the 46 weeks of clashes. At that moment, the boy was struck in the head by a tear gas canister fired directly at protesters by Israeli forces.